While we operate by appointment, we understand that dental emergencies do occur. That is why we reserve a portion of each day to help people who have unexpected dental issues. If you are not certain what to do, then call us and tell us the problem. We will assist you in making a decision about what to do next. If you have an accident in which you have completely knocked out a tooth (avulsed), moved it into a different position (sub-luxation) or even just knocked it without the tooth changing position, we class this as dental trauma. Please call the clinic immediately. We endeavor to treat all trauma patients immediately. For an avulsed tooth we suggest you locate the lost tooth as quickly as possible. If it is an adult tooth, then you should reimplant it in the socket. Handle it only by the crown of the tooth (the white part), not the root. Studies have shown that the sooner the tooth is reimplanted, the greater the long term viability. Do not re-implant a baby tooth. If the root of the tooth is dirty, then gently rinse it in milk or sterile saline. Do not scrub it or touch the root surface. If you are not certain what to do before you get to the surgery, then place the tooth in (order of preference) milk, sterile saline, wrap it in cling film or the patient’s own saliva. Never let the tooth dry out. Seek dental treatment immediately. For a fractured tooth it is ideal to locate the broken fragment. Transport it in milk, sterile saline, wrap it in cling film or the patient’s own saliva. Again, seek immediate dental treatment. In the event of a sub-luxation it is suggested that you seek dental treatment prior to repositioning the tooth. Baby teeth should not be repositioned, as this may cause damage to the developing adult tooth. 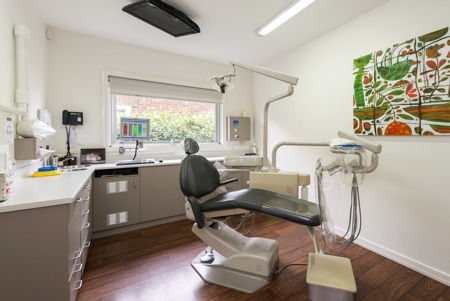 In the event that you have a dental trauma and you are unable to contact us, we suggest you contact either Kew Emergency Dental on 9853 1855 or the Royal Melbourne Dental Hopsital on 1300 360 054. For further information, please refer to www.dentaltraumaguide.org.